This pack of our New PROBAR Core™ bars has something for everyone. We've taken three of each of our PROBAR Core™ bars and packaged them together in one box. This is the perfect way to enjoy a different PROBAR CORE bar every day, or introduce someone to your favorite protein bar. Contains three bars each of our Mint Chocolate, Peanut Butter Chocolate, Brownie and Cookie Dough PROBAR Core™ bars! I was able to try the new PROBAR Core Variety Pack 12 Pack and wow are these bars good. The Cookie Dough bars were my favorite and Peanut Butter were my runner up fave. My husband liked the Mint Chocolate the best and my sister in law liked the Brownie. 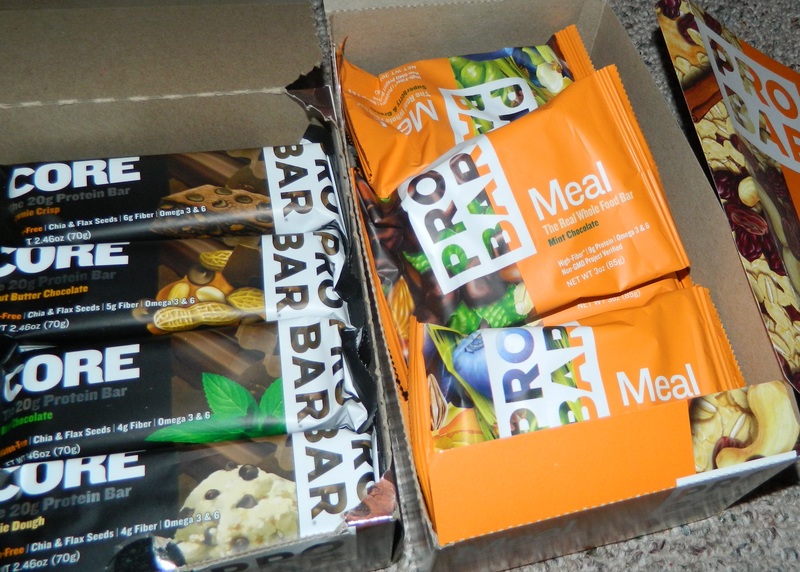 I also got the PROBAR Meal-Bars in the flavors Oatmeal Raisin, Mint Chocolate, Chocolate Coconut and Superberry & Greens. I really liked the Oatmeal Raisin as I have been a long time lover of that particular flavor. My sister in law said she really liked the Superberry & Greens. Both my husband and sister in law liked these bars as they are a good tasting and a quick n filling. With working all day it can be hard to have time for a meal so eating either or the PROBARs helped the hunger and felt like eating a sweet snack. Just for my readers you can save 40% off your first order of PROBAR by using code BLOGGER at checkout. Now for the giveaway: One lucky person will win 1 box of your choice of PROBAR product. This is open to US and ends 5/1/13 @ 11:59 pm est. To enter, Simply do the tasks on the Rafflecopter widget below and you're set to have a chance to win! Remember you can't win if you don't enter. It only takes one entry to win! Disclaimer: I got the PROBARs free to do this product review and was not paid for my response. Please note that SaraLee's Deals Steals & Giveaways are not responsible for sponsors who do not fulfill their prize. I like the Probar Bolt Berry Blast. I learned that the chews are organic. I learned there are 20 g of protein…wow, very nice! I love the new products especially the bolt and meal bars! I bet the mint chocolate and the peanut butter ones taste good. Also the bolt raspberry looks yummy! Peanut butter and chocolate blend perfectly in this tasty bar. Packed with plant protein, chia, and flax seeds you'll be ready for wherever adventure takes you. I would get the variety pack! Can't go wrong with that! I would really like to try the PROBAR Meal Bars. I go to the gym right after work, and by the time I'm home, it's too late it eat. I would love to be able to enjoy a bar on my drive to the gym. I would pick the PROBAR Meal Variety Pack. I live in Misouri and was very interested by the video of Tony Gonzalez and his PROBAR shake. Everything in the bar I can pronounce! I wouldn't hestitate to let my kid have this as a snck once in a while. I'd like the Probar Bolt. The CORE Bars include chia seeds for hydration and recovery! These are really, really great!! I learned about GMOs and that PROBAR products are Non-GMO verified! I never knew that they were genetically modifying varieties of corn and potatoes to produce their own pesticides. Very good to know and another reason to want to try PROBARS! i would get the variety pack, but the pb or brownie crisp sounds good. I would love to try the Koka Moka PROBAR Meal. I would choose the PROBAR Core Variety Pack if I won. I would like to try the Probar Bolt Orange, sounds really good. I love that all their products are vegan. I'd like to try the CORE bars. I like the Chocolate Lover's Variety Pack! 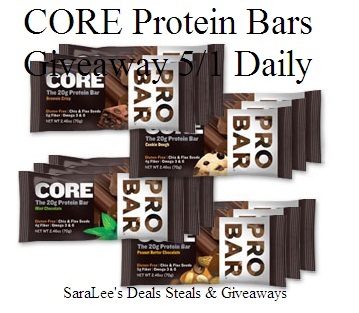 If I were the lucky winner, I'd choose the PROBAR Core™ Variety Pack 12-Pack! I learned the meal bars are vegan!! They are a meal replacement. I like that they make a meal replacement bar. i love the variety of choices! I love the simple, organic ingredients!!! I don't like protein science projects 😉 I love the flavors and varieties they offer, also! I would love the double chocolate meal bar. YUM! I learned I'd l ike to try the Chocolate Coconut! I like variety of products and their meal bars, also. I like that they are gluten free. Thank you! I like the Superberry & Greens Meal Bar. Sounds good! I would like to try ProBar Bolt as an energy bar. The Raspberry Bolt bars look yummy! I would pick the MEAL box. 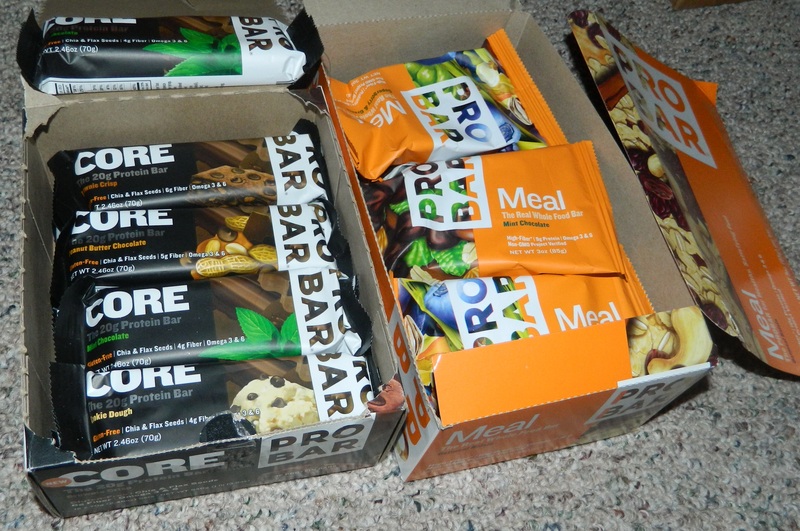 I learned that the Pro bar meal bar weighs 3 ounces and can be used as a meal replacement. I would pick the meal or halo box if I won. I see there are alot of choices to pick from! Wow, these look like a good healthy bar – vegan! These would be great for Camping trips. Thank you for the giveaway. I'd love to try all the flavors. I like that their bars are plant based! I would choose ProBar HALO Rocky Road! I learned that the Core Bar has 20 grams of protein. This would be great as breakfast for me. I would like to try the variety pack. I like that thye have meal bars. I really like how these do not contain artificial sweetners. I'm very allergic to Sucralose, and I sadly find it in so many products. I always get happy when I find stuff without it. I'm also loving how high in protein their products are. I learned that it has 20g of plant protein. I would like the Probar Fuel Variety Box. Congrats on your win Sherry C.